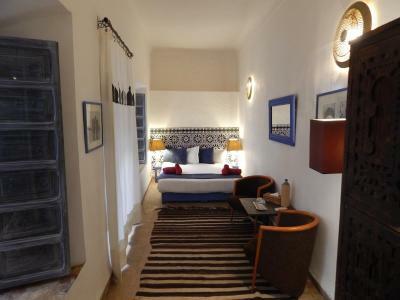 Lock in a great price for Riad De Vinci & SPA – rated 8.9 by recent guests! 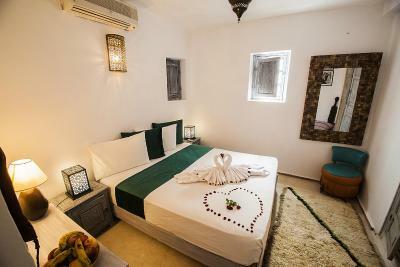 It is a typical and beautiful riad in the heart of Medina. The staff was super professional and very helpful. Since the place is very difficult to find by your own and also cars can’t come inside the streets, a guy from the staff came to meet me and take me to the hotel. The shower is great, the breakfast amazing - best orange juice and yogurt from the whole trip!! Sheets and towels were clean and soft. Tea at the reception also delicious! 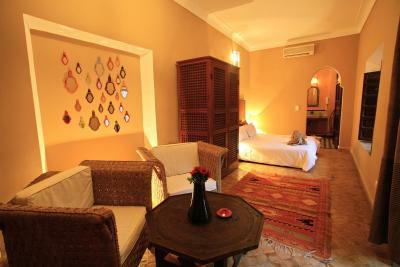 The riad is lovely and even nicer than the photos on their page. 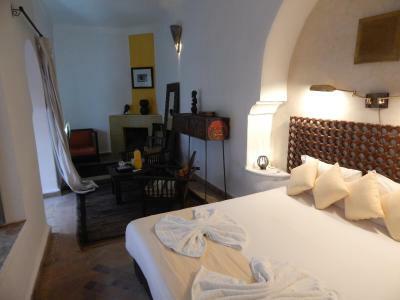 Our room was on the terasse, very clean and cute. We had a great view of the city and sunset. Everything was awesome but we had some problems with the A/C unit, water heater and Toilet. Great staff, incredibly friendly and helpful. 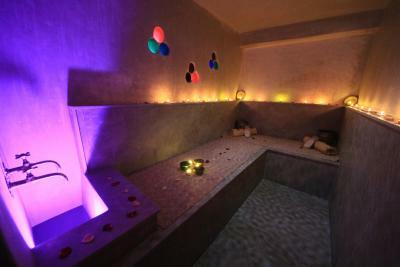 Amenities were great as well. Staff was very friendly and accommodating. Couldn't have been nicer. 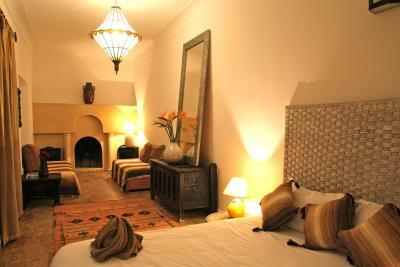 The Riad was very nice but I was a bit under the weather so didn't get to use the other areas of the Riad. 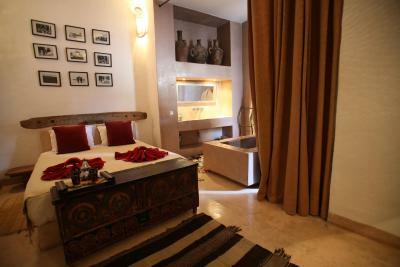 But my son and husband really enjoyed all aspects of the Riad and location. We had such an amazing stay for 10 nights. Such a nice place and the people working there are VERY kind, understanding and helpful. 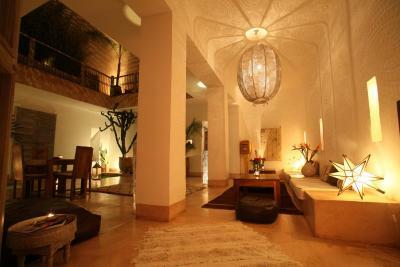 Further, the place is just beatiful and very luxurious in light of the price. Would definetly recomend this place. Very nice place! Kind host, very quiet at night. We had a good night sleep to recover. Lovely reception area with seating and a sort of courtyard; nice terrace, especially for having breakfast there; interesting interior decorations. My friend loved the decorative pillows that were everywhere. Great service from all the staff!!! Riad (the boss man) was so nice and acomodating! Thank to all!! 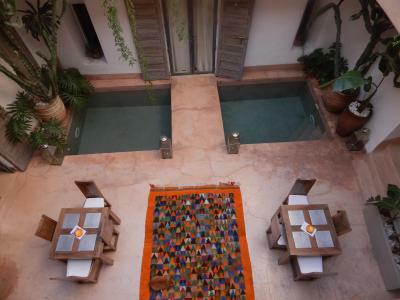 One of our top picks in Marrakesh.Located in the heart of the historic and cultural center of Marrakech and 10 minutes drive from the famous Jemaâ-el-Fna Square, Riad De Vinci & SPA welcomes you in a characteristic setting with its spa including hammam and massages. 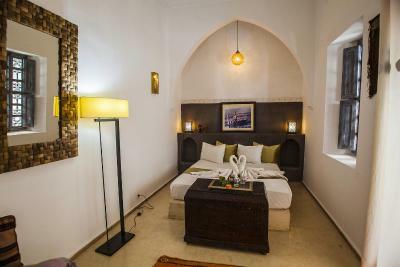 Riad De Vinci & SPA offers comfortable rooms combining oriental traditions and modern style to ensure you a relaxing stay. 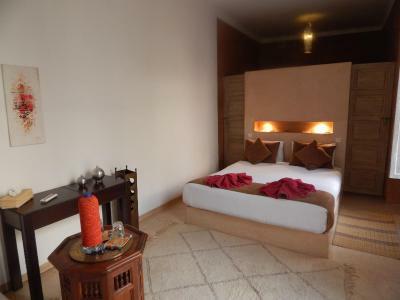 Each room features its own style to make your stay truly unique. 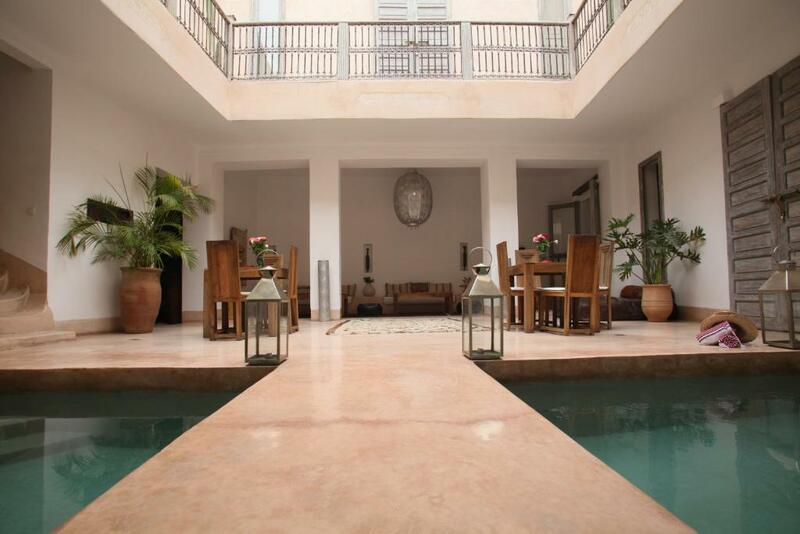 After a day of sightseeing in Marrakech and the medina, have a relaxing moment in the patio, by the pool. 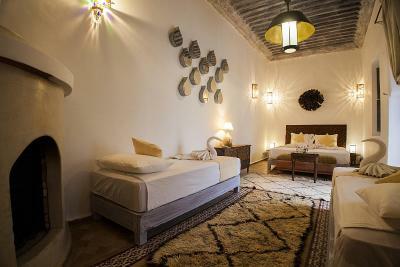 During your stay, discover all the attractions of Marrakech. 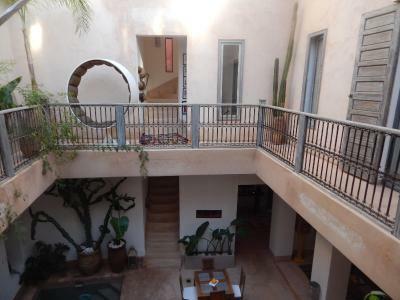 뀐 Located in the real heart of Marrakesh, this property has an excellent location score of 8.3! 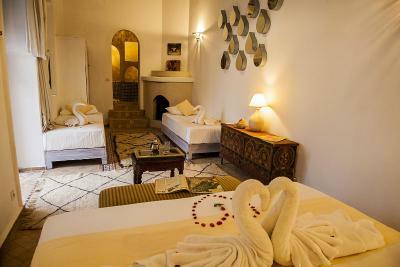 When would you like to stay at Riad De Vinci & SPA? 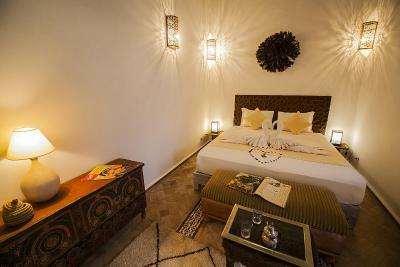 This air-conditioned room is located in the ground floor and features unique decoration and a private bathroom with a hairdryer and free toiletries. This suite features a seating area and air conditioning. 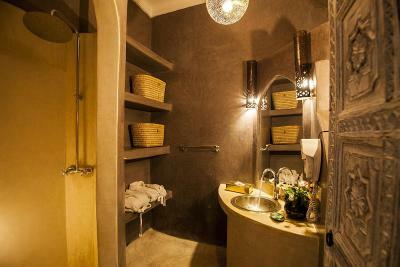 It includes a private bathroom fitted with bath. 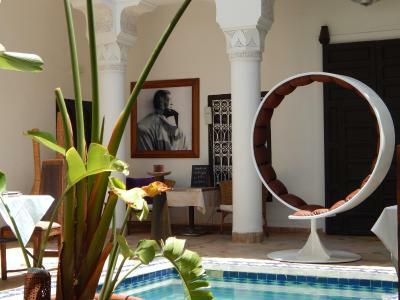 Riad da Vinci, located in the historical center of Marrakech, opens its doors to a zen décor and offers a cool oasis in the heart of the Medina. 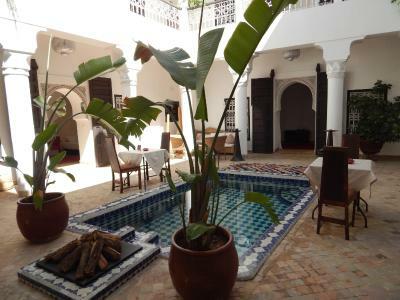 The Riad used to be a family house. 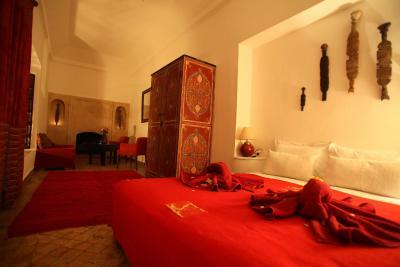 It was renovated in a style harmoniously combining modernity and the best of Moroccan tradition. 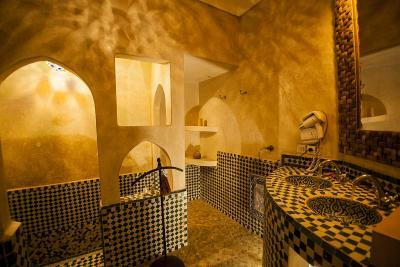 Its unique design is the expression of the impressive know-how of the craftsmen of the Medina. 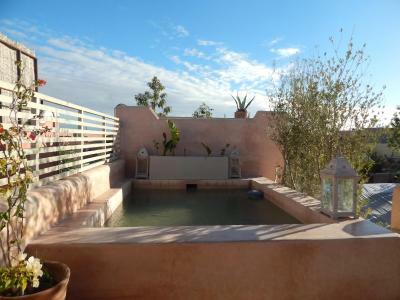 And its huge roof top terrace has an amazing view on the Medina and the Atlas mountains! The Riad has 3 courtyards, two of them have a dipping pool and the third one has a relaxing water fountain. 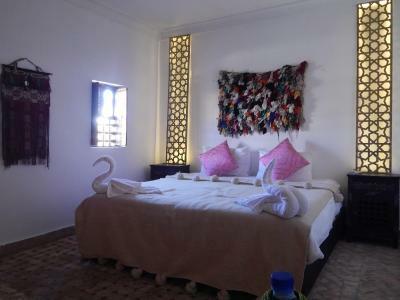 Its 19 rooms are all tastefully decorated and equipped with private bathroom, storage space and of course high quality bedding. 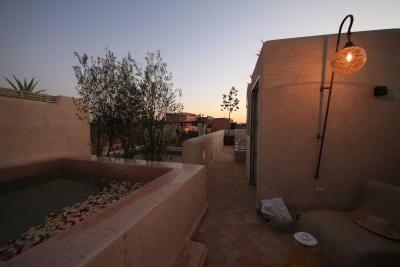 Wifi is available for free in the courtyards as well as on the roof top terrace. 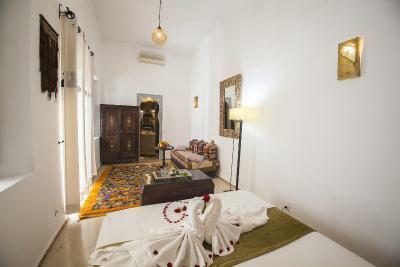 The Riad is more than just an accommodation. 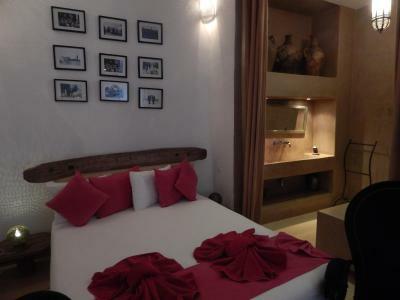 It is a truly authentic experience and we will do our best to make you feel at home. 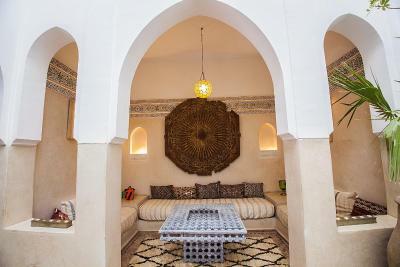 Upon your arrival you will enjoy Moroccan hospitality: the riad staff will welcome you with a glass of mint tea and give you all the tips you need to enjoy a memorable stay. 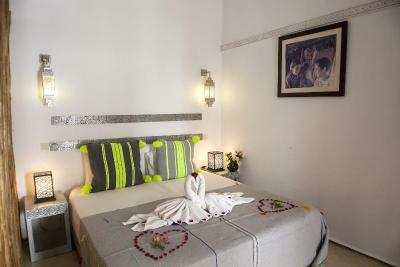 Come and stay with us! 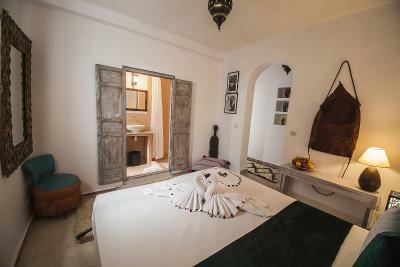 House Rules Riad De Vinci & SPA takes special requests – add in the next step! Riad De Vinci &amp; SPA accepts these cards and reserves the right to temporarily hold an amount prior to arrival. Riad De Vinci & SPA accepts these cards and reserves the right to temporarily hold an amount prior to arrival. Please note that for group reservations payment is required via bank transfer. 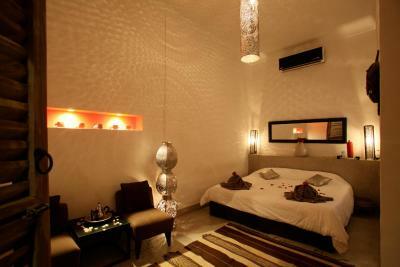 The property will contact you after the booking to provide you with the instructions. 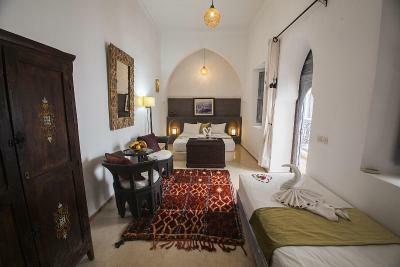 Please note that the closest car/taxi access to the property is Sidi Ben Slimane Square, 650 feet from Riad De Vinci & Spa. Please contact the property to get more information regarding arrival details. 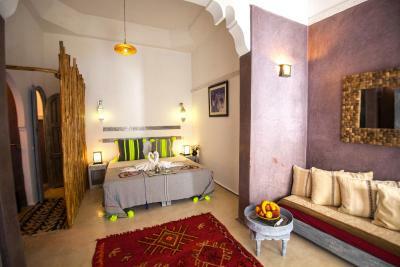 An amazing stay at the Riad, we wish it was a little longer. 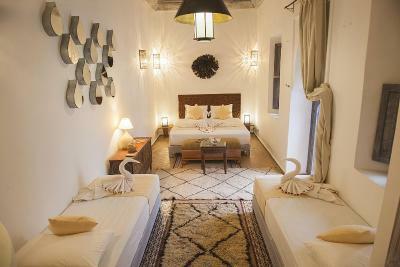 The decor and the rooftop is truly amazing with stunning views of the Atlas mountains. The staff were very helpful and accommodating. 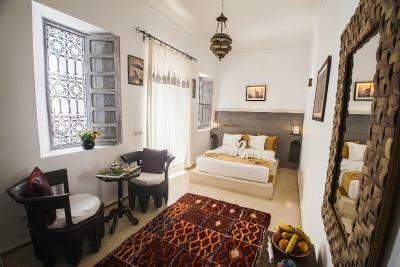 This riad feels like a home away from home. great room, great service, great smiles! This hotel was amazing!!! The hotel staff were amazing so friendly and really looked after us!!! Staff were very friendly, the hotel had a very relaxed atmosphere which was lovely! Also a varied breakfast each day which was nice - got to try a lot of Moroccan delicacies! Lunch and dinner could offer a couple of options more. 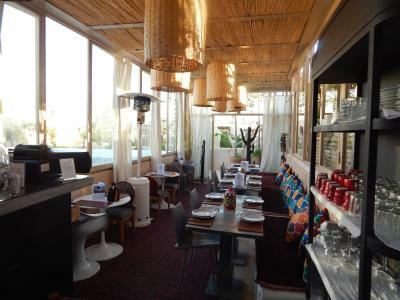 Great location next to the souk. 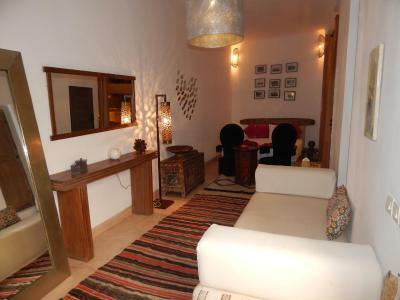 Quiet and very well decorated. 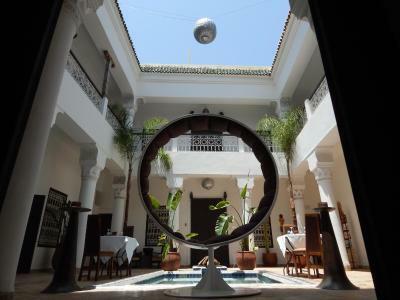 Nice breakfast and kind staff (especially Riad!) 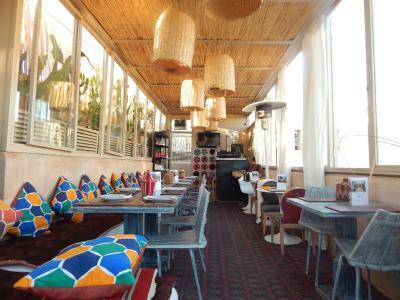 Love to chill on the rooftop terrace! very central but difficult to find. Very nice atmosphere and owner. The staff is very friendly and ready to help out. Quiet and excellent equipment. There was no hot water to the room. After 2 hours it was fixed but only lasted 5 minutes. Thereafter I didn't have any water, hot or cold. The orange juice at breakfast was undrinkable - too much pulp. 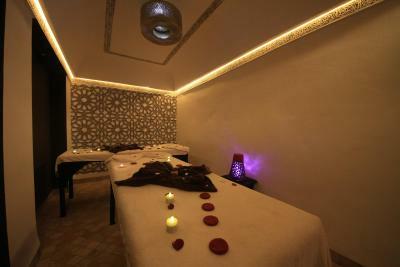 The staff were very polite and friendly, always willing to assist. The whole experience was amazing. The staff were very attentive and helpful and full of good tips and knowledge about how to get the best from our trip. Breakfast was traditional and fresh in a calm atmosphere. Our room was spacious and with beautiful decor. Our room was clean and tidy and upon our arrival a nice local tea was offered. The staff is very friendly and they are always willing to help. They are doing their best to please the customer. Also, the breakfast was tasty and freshly made. Lovely staff. Comfortable beds. Great decor. This place is hard to find. Do not ask men the way as they will demand money, phone the riad to get help. The size of my room and spa facilities. Great place with great people working there! 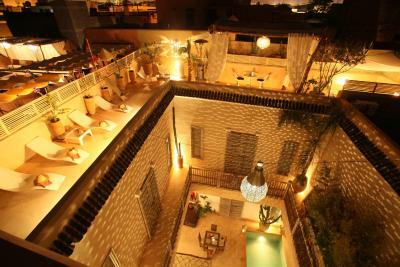 Location is perfect and the Riad gives you the best Marrakech experience!